The allure of flowers is timeless. Silken, colorful petals evoke feelings of warmth and security that are unrivaled by man-made creations. The beauty of natural flowers is something that cannot be replicated or reproduced. Artificial flowers may seem novel because they don’t wilt or perish, but the atmosphere they create is rather muted and uninspired. There’s nothing quite like coming home to a blossoming garden of flowers that you’ve planted with your own hands. Even a few bulbs here and there can spruce up a lackluster yard like nothing else. Planting flowers isn’t especially difficult either, so you don’t necessarily have to have a green thumb to be successful in your endeavor. A great way to get started is by purchasing small plants that have only just begun to sprout. That way, you’ll already have a head start, but you’ll still be able to glean the joy and pride that comes with seeing your own creations bloom. If you’re not interested in gardening yourself, you can always take advantage of what your city has to offer. If you’re lucky and you live near a more rural community, you’ll be able to find beautiful gardens that are expansive and very well maintained. You can also drive out on the countryside to see a bevy of flowers that cover entire acres. A lot of large grocery stores carry flowers, but many of them probably lack the enticing scent you hold dear. This is because a great deal of commercially produced flowers have been bred for their appearance over their scent. They’ve essentially been genetically engineered to look pretty at the sacrifice of their enticing fragrance, but if you find fresh, organic flowers, the difference will be incredible. Your local florist is bound to have an array of delightful blooms that are as lovely to look at as they are to smell. However, if you can’t find a florist in your area, you can always order flowers online as well. Flower delivery is especially popular during holidays like Valentine’s Day, but you’re certainly welcome to order a bouquet during any time of the year. Sites such as freshflowers.com.au, offer petals from all manner of occasions such as weddings, funerals, birthdays and more. You can also just order flowers to surprise a loved one. Anyone will feel instantly flattered and warm when they receive a bundle of colorful flowers, so have fun and let your sights soar. 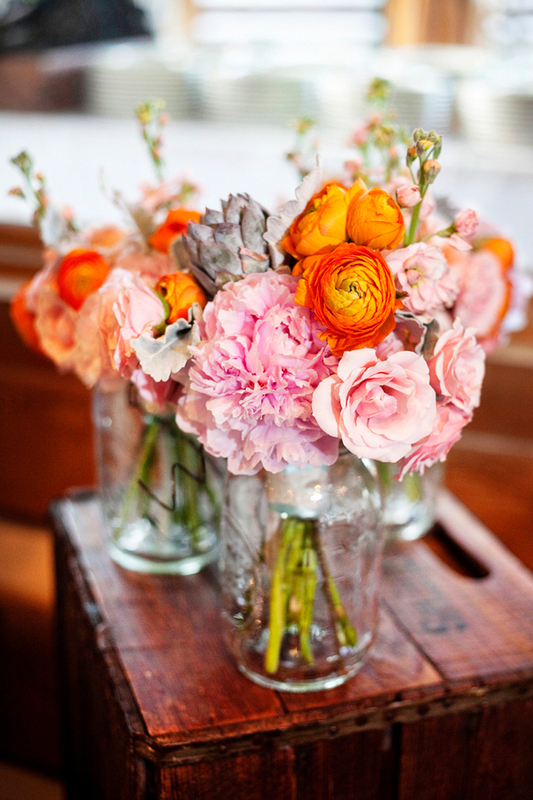 Now head out to your own garden, local florist, or hint to your significant other…. and enjoy some of your own fresh flowers. 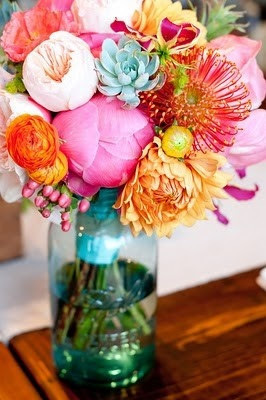 You can really enjoy them and gaze at them all day by creating some pretty centerpieces. 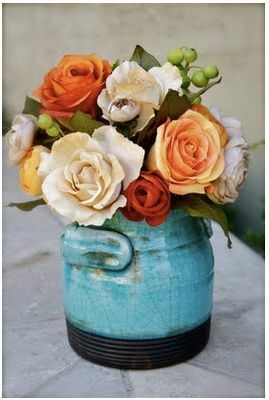 Just grab a vase, a ball or kerr jar and place them inside and enjoy them even more. This is a sponsored post, some of the opinions are 100% mine. Lovely…. the hardest part can be choosing a vase to put them in. But a simple mason jar like the ones in your pictures looks great and doesn’t detract from the arrangement.